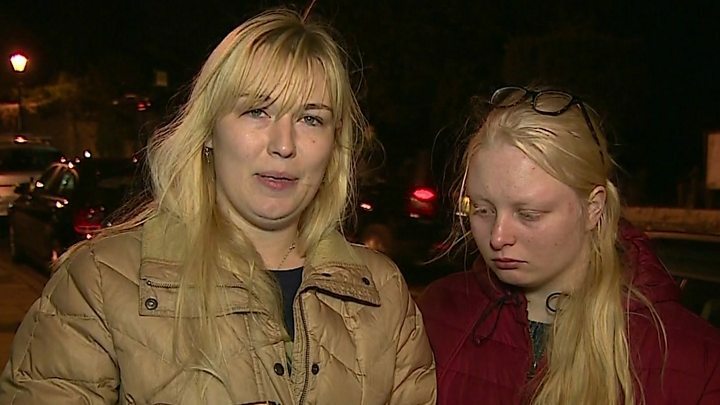 The sister of Gaia Pope, whose body was found on Saturday, has described her as the "absolute light of my life". 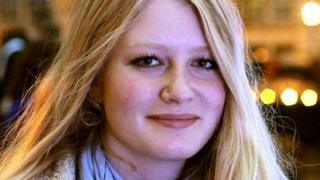 Clara Pope-Sutherland said the 19-year-old was "intelligent, beautiful and emotionally wise". The teenager had not been seen for 11 days before her remains were found in a field near Swanage, close to where some of her clothing was found on Thursday. Dorset Police said it was "confident" it was her and a post-mortem examination is due to take place. Det Supt Paul Kessell said: "This will guide the investigation in respect of the circumstances of the death, which at this time remains unexplained." Miss Pope's cousin, Marienna Pope-Weidemann, said: "We are absolutely devastated and unable to put those feelings of loss into words. "Our little bird has flown, but she will always be with us." The teenager's body was discovered by police at about 15:00 GMT, as local people took part in three mass searches of land around the town. Addressing volunteers Miss Pope's sister said: "Every minute of your hard work has been absolutely worth it." She added said the "dedication and selflessness" of local people was one of the few things which kept the family going during the search. "If there is one ray of light in this nightmare it is the compassion, humanity and community spirit which you have shown." Det Supt Kessell thanked the public for their help and said no further assistance was needed with the searches. During the investigation, three people were arrested on suspicion of murder and released under investigation. They were 71-year-old Rosemary Dinch; her 49-year-old son Paul Elsey; and her 19-year-old grandson Nathan Elsey - all of whom were known to Miss Pope. Many members of the public have shared their condolences with Miss Pope's family on the Find Gaia Facebook group. Amy Howes wrote "our village is mourning a terrible loss this morning, such sad news". Sonia Card said: "Such sad news. Didn't know Gaia or her family. But spent time searching in the hope we would find her. So sorry we didn't." A church service is being held at 18:30 GMT at St Mary's Church in Swanage. Team rector, the Very Reverend John Mann, said: "It is good to have an opportunity for people to come together from right across the town. "At times like this people don't know what to say, they don't know what to do, and they need a focus of attention." In a post on Twitter, The Bishop of Sherborne, Karen Gorham, said prayers would be said across Dorset for Miss Pope's family and friends. 8 November: Her family makes a plea through police for her to make contact. Dorset Police says it is "becoming increasingly concerned"
9 November: Searches by police, the coastguard and force helicopter are carried out in the Swanage area. Miss Pope's relatives release a statement saying they are "frantic with worry"